As an experienced Buffalo DWI Lawyer I am often asked why a client can’t defend themselves in court. Are you trying to defend yourself in a DWI case? 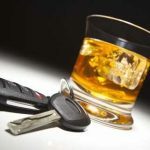 If so, contact the experienced Buffalo DWI Lawyer Arthur Pressman.